As the new school year rolls around it is out with mom’s home cooked meals and in with all-you-can-eat dining halls. Going away to college calls for new eating habits, which can definitely add to the stress of moving away from home. With many assignments to be completed, textbook pages to read, and tests to study for, food should not be on your list of things to stress about while away at school. I struggled to find healthy and yummy options my first semester of college. 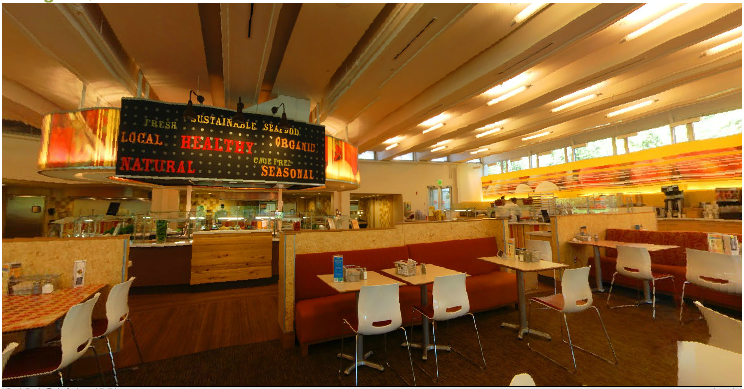 After lots of trial and error, I discovered these 5 tips are the best way to take the stress out of eating in a college dining hall. Ask about allergens or special diets. If you have any allergies or a special diet, make sure you contact the catering company that provides to food to your dining hall. They likely have a dietitian on staff that can help you find foods that are safe for you to eat. Become friendly with the chefs and other kitchen staff. From my experience, they love talking to students, and if they know who you are, they will be more likely to get you what you want (even if it isn’t on the menu for the day). 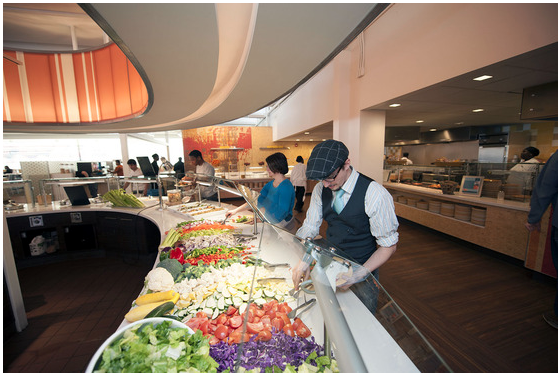 Find a “go to” food item the dining hall always has and that you enjoy. My dining hall always has a salad bar and a stir-fry station, so no matter what they are serving I know that there is always something for me to eat. Fill out the comment cards. Most dining halls will have a place in the dining hall or online where you can leave comments and suggestions. If there is something you liked or didn’t like, tell them. If there is something that you would like that they don’t have, tell them. From my experience, the chefs and dining hall staff take them seriously and will often respond to you. If you can’t find anything you like, ask! My school has a “just ask” policy; if you don’t see it, find a chef or other staff member that can help you. Lots of times, if you wait a few minutes they will make you what you want, as long as they have it in the kitchen. If the on-site staff is not responsive to your requests, contact a manager or dietitian. They should do their best to get you what you need and feel comfortable with your food options. If these tips don’t work, try again (and again)! Seriously, don’t be afraid to advocate for what you need. Nobody can live without food so you might as well enjoy what you are eating.